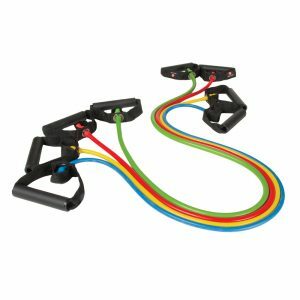 Thera-Band® Exercise Tubing builds strength, improves flexibility, adds muscle definition without bulk – and all without putting unnecessary stress on your joints or your wallet. 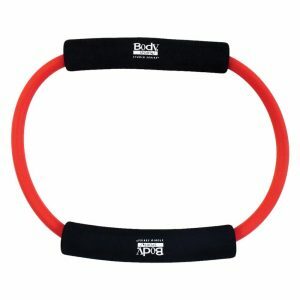 The Light Thera-Band® Resistance Tubing 3-pack of is ideal for home rehabilitation and exercise programs. The light resistance program is suitable for rehabilitation following injury or illness and for initiating an exercise program. 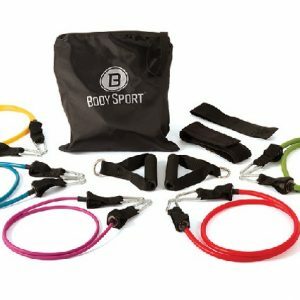 It includes three pre-cut lengths of tubing in progressive resistances and a usage guide which gives directions, safety tips and sample exercises. Start with the yellow tubing. When that no longer provides adequate challenge, switch to the red, and then the green. 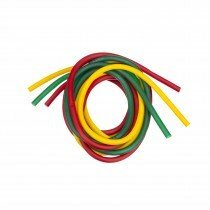 The Light Resistance Tubing Package 3 Pack contains three 5 foot lengths of tubing – one each of yellow, red, and green. 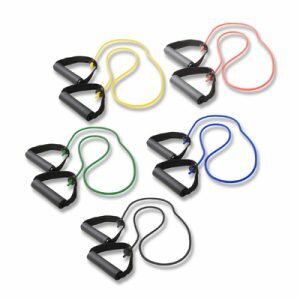 The Thera-Band® Heavy Resistance Tubing 2 Pack is ideal for advanced home exercise programs. 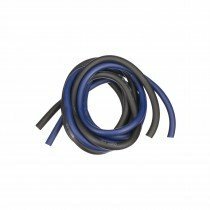 In addition to two pre-cut lengths of black and silver tubing, it contains a usage guide which gives directions, safety tips and sample exercises. Begin with the blue tubing. When you have mastered that challenge, shift to the extra heavy black.